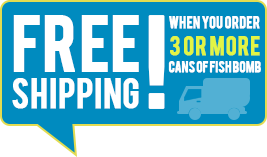 $9.99 Get Free Shipping when you order 3 or More cans! 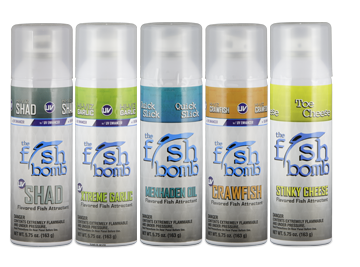 Shrimp Flavored Fish Bomb (nicknamed - Shrimp Cocktail) is a Fish Oil and Shrimp Flavored based aerosol attractant. It can be sprayed directly on baits/lures, or locked down and used to create the ultimate chum slick. Simply spray down your lure or bait to provide the ultimate bite and hold reaction - Clip a Fish Bomb to a down line, lock down the tab and submerge it to the depth of where the fish are for the ultimate chum slick - designed for Fresh or Salt Water.